Auto Load Logic 2.0 streamlines the auto transport process from posting and contracting to pick-up and delivery with the most robust feature set in the auto transport industry. Auto Load Logic supports desktop and iOS and Android mobile devices. Deron Balch, COO of Auto Load Logic said, “We were confident that version 1.0 would be attractive and exciting to our target customers, and it was. But we got some great ideas from initial users that we’ve now responded to in our new release." Today, Auto Load Logic releases version 2.0 of its revolutionary vehicle transport management software. The VIN-based system offering real-time GPS tracking, the only trailer loading algorithm in the used vehicle market, end-to-end electronic contracting and many more features for shippers, brokers and carriers was initially launched in June 2013. In addition to improving the user experience, providing additional user education materials and adding important management tools, Auto Load Logic has also revisited the pricing of its product. “Our pricing philosophy has always been to align our interests with those of our customers and to make price not an issue in user-adoption. We found that the pricing structure we selected was confusing for some early users, so we changed it,” said Lightner. Auto Load Logic increases its users’ control of the vehicle transport process; reduces the risks inherent in the process; allows for substantial operating efficiencies; and, provides really meaningful operating cost reductions for all user groups. Auto Load Logic, LLC is a software company founded in 2011 in Abilene, Texas. It was formed by industry professionals convinced that the tools available for managing used vehicle transport had fallen far behind both industry needs and available technology. Their commitment and passion to redefine the auto transport industry is what drives this company. Its fully integrated end-to-end system delivers on that commitment. The Auto Load Logic website can be found at http://www.autoloadlogic.com. Auto Transport RedefinedThe industry's first end-to-end software solution for auto transport. AutoLoad Logic's mobile apps are available in the iTunes Store and on Google Play. 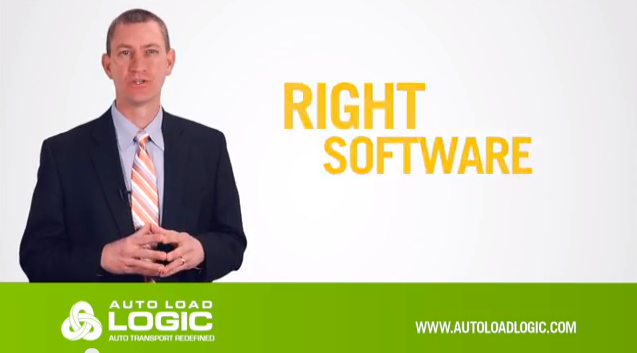 Checkout a short overview video of Auto Load Logic's fully integrated software solution for shippers, brokers and carriers at www.autoloadlogic.com.